In a blender combine the parsley, rosemary, thyme, sage, garlic, extra virgin coconut oil, vinegar and salt and pepper to taste. Blend together. 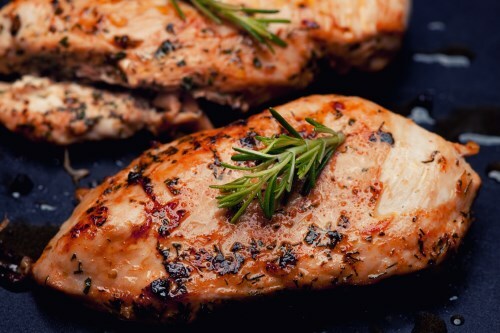 Place chicken in a nonporous glass dish or bowl and pour blended marinade over the chicken. Cover dish and refrigerate to marinate for at least 2 hours or up to 48 hours.